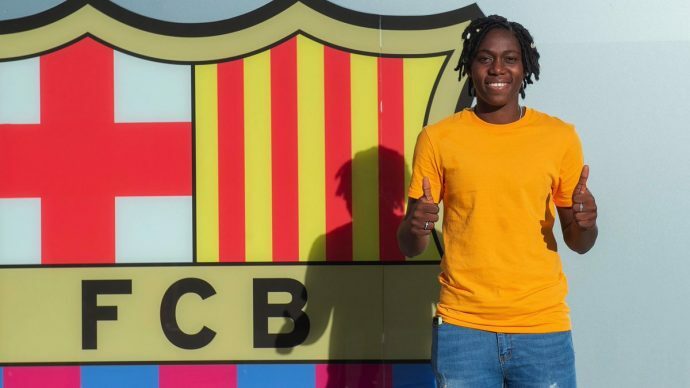 Catalan giants FC Barcelona and Chinese Super League side Dalian Quanjian FC has reached an agreement for the loan move of Asisat Oshoala for the rest of the 2018/19 campaign. The 24-old old Super Falcon forward arrived in Barcelona on Thursday morning for the medical and after that penned her contract that will see join the Barça women until June 30. Within the sight of the sporting director, Maria Teixidor, and sports manager Markel Zubizarreta. Oshoala, who has been named African Footballer of the Year three times (2017, 2016 and 2014) and won the Golden Boot and Golden Ball at the U20 World Cup in 2014 and also the leading goalscorer in the Chinese Super League in 2017.